Truly and intentionally inspired by the pages of Southern Living Magazine, this purpose-built bed and breakfast was uniquely crafted with the traveler in mind. 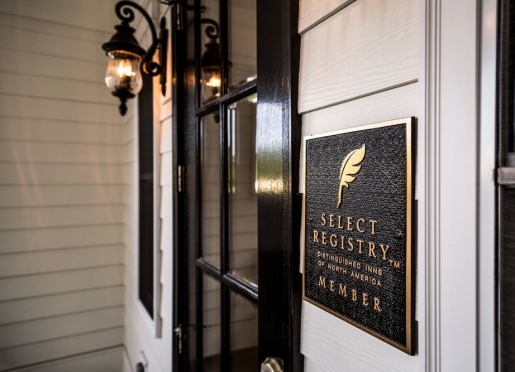 Inducted as the 1st bed and breakfast into the Southern Living Hotel Collection, casual elegance filled with Southern hospitality is reflected throughout the inn. Seven indulgent suites with private en suites, each with seven layer bedding of fine luxurious linens; three course breakfast served daily, snacks and beverages throughout your stay and so much more. Tiffany Hill is conveniently situated in what is known as the "Playground of the South" in Western North Carolina, just 10 minutes from the Asheville Regional Airport nestled between the towns of Asheville, Hendersonville and Brevard, with easy access to the Pisgah National Forest and the DuPont State Recreational Park for those seeking outdoor adventure in the "Land of the Waterfalls." Travelers are always looking for memorable and relaxing experiences. Let’s discover more through the words of our innkeepers. Many thanks to Selena Einwechter for sharing her own secrets with BBOnline.com! People come to this area for the mountains, the food, waterfalls and so much more! The Bed & Breakfast on Tiffany Hill is a newly constructed and purpose built B&B centrally located to all Western North Carolina has to offer. Just 10 minutes to the Asheville Regional Airport, 25 minutes to the Biltmore House and 15 minutes to either Hendersonville or Brevard makes this an ideal destination. Southern Hospitality, candlelit breakfast anniversary celebration, cleanliness and a staff who genuinely wants to make your stay memorable. We are a purposed built new B&B designed with the guest in mind. Private en-suite baths, 7-layer beds, flat screen TV's with DVD players, complimentary WiFi, continuous piped in music, keyless entry and so much more situated on 6 acres of gardens for guests to enjoy. From Tiffany Hill, you can hike waterfalls, shop quaint villages, enjoy wonderful music or catch a flight - all within 15 minutes. The people who come to visit. So many to choose from; either the Biltmore House, waterfalls, our art galleries, the Flat Rock Playhouse or maybe one of our breweries. We do everything with the guest in mind. "Anytime you reach for something it is already there." We are neighbors to the new Sierra Nevada Brewing Company's East Coast facility. First of all, guests traveling in the area for 4 nights should take advantage of our "Do More In Four" special which allows the guest to book 3 consecutive nights and get the 4th night free. Tiffany Hill is near the "Land of the Waterfalls", countless breweries, wineries, and the Biltmore House. 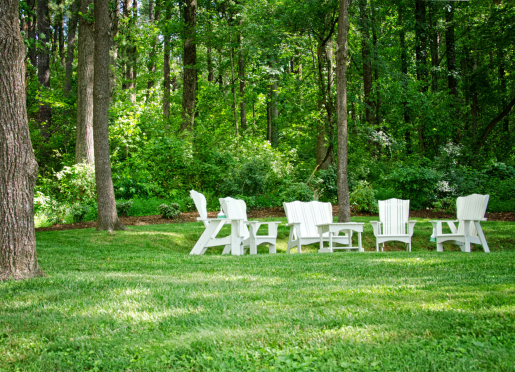 We are located on 6 acres and have 7 garden vignettes that offer rest and relaxation. We are located in a foodie's paradise! 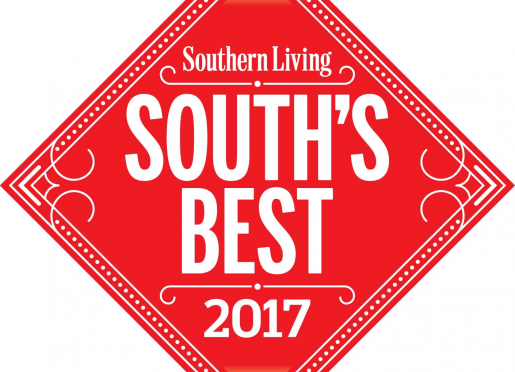 Between Asheville, Hendersonville, and Brevard, we have countless options for dining in the area. We have 5 rooms in the Main House and 2 in our Carriage House for a total of 7 on property. There is so much to explore within a half hour drive of the B&B that you will never lack for something to do. Then, return to the peace and serenity of Tiffany Hill. While on property, over six acres have been developed for your enjoyment. 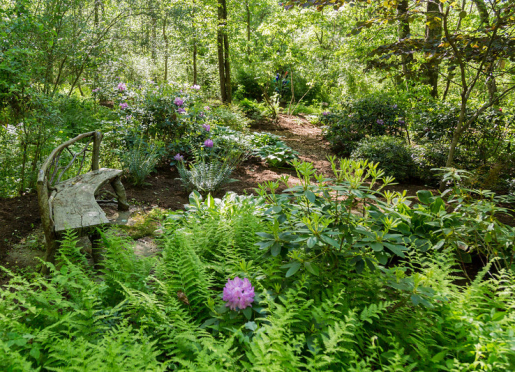 Whether sitting in the Adirondacks at the Circle of Trees, bird watching at the pavilion or soaking in the view from the Secret Garden, there is much to enjoy without going anywhere. In this busy world that we live, rest & restoration is so important! So, don't rush off... plan to spend time with friends & family, grab a good book from our library or simply bask in nature. Come play, relax and refresh your soul! 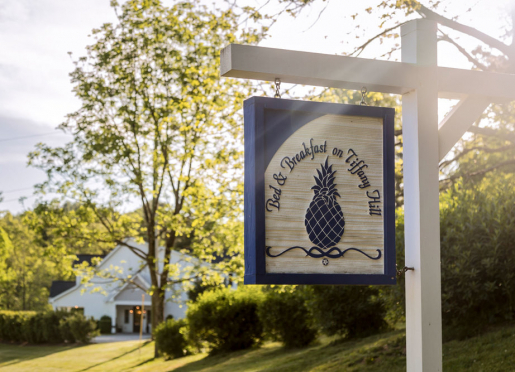 The Bed and Breakfast experience is one that re-creates a home-like stay while providing you with all the help necessary to truly relax and enjoy the reason for your visit. 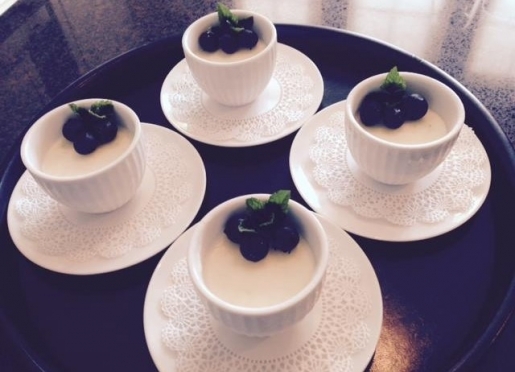 At the B&B on Tiffany Hill, each morning begins with a plated gourmet three-course breakfast. And this is just the beginning of your day! The Innkeepers are available to help you plan your day, as you desire. We can provide information on special attractions, advise on directions, recommend a restaurant and make appropriate reservations as needed. A 25 year journey has culminated into a very special place. Dreams do come true - come see for yourself. Casual elegance filled with Southern Hospitality is reflected in each of the five guest suites. Each suite is specifically designed from one of our favorite southern towns. Wifi is available throughout the facility.